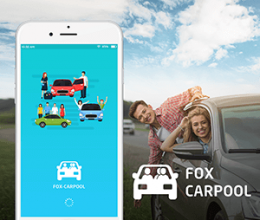 If you want to startup your taxi booking business like Uber? 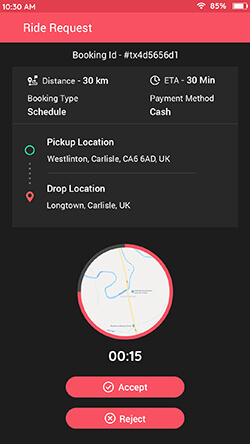 A complete ready-to-use white label taxi booking solution is the best solution for you! 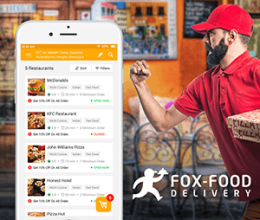 White Label Fox develop a fully customized Uber clone app script including user app, driver app with web panels of super admin, dispatcher admin, and billing admin. We provide a best uber clone script with all necessary features that must be required to successful business startup. 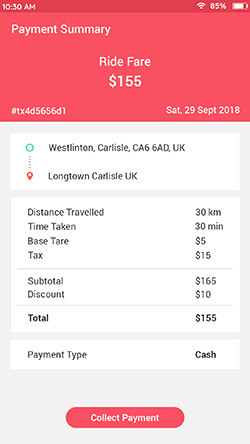 We offer unique and advanced features absolutely free like multi-language and multi-currency, it’s very useful to lunch the taxi app script in your region. Our uber clone app script is completely white labeled so you get the app with your own brand name, logo, currency, and language. 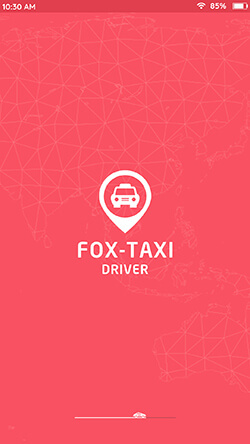 Get our Fox-Taxi – Uber clone script with source code at a lower price than other competitors. 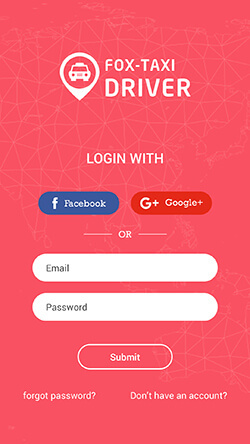 A user can signup and log in through social media site like Facebook, Google, etc. User has an option of selecting a ride vehicle type like Sedan, SUV, luxury etc based on their requirement. User can give a review and rating at the end time of trip based on their ride experience. 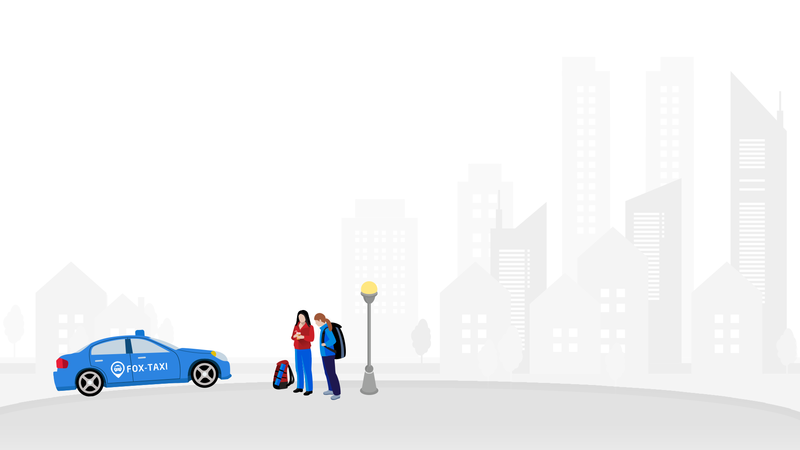 A user can book a new ride request now or schedule for a future trip. A user can book ride up to 4 days before. 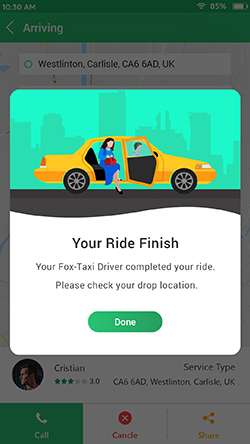 After the driver accepts the ride request, the rider can track a driver’s live location. Once admin approved driver account, a driver gets a nearest pickup location ride request from users. A driver can set their profile status online/offline; they get a new ride request while profile status online. A driver can see their total number of ride, completed ride, canceled ride, and total earnings. 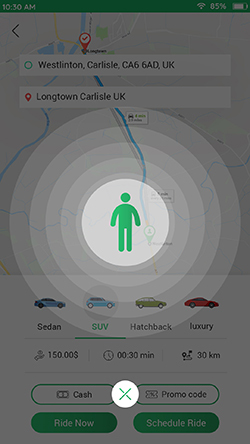 A driver can call to a user within the app if trouble to find pickup location or any query regarding ride. 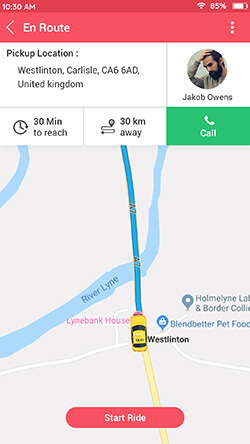 A driver has an option to use Google map navigation within the app if they have trouble to find the route. 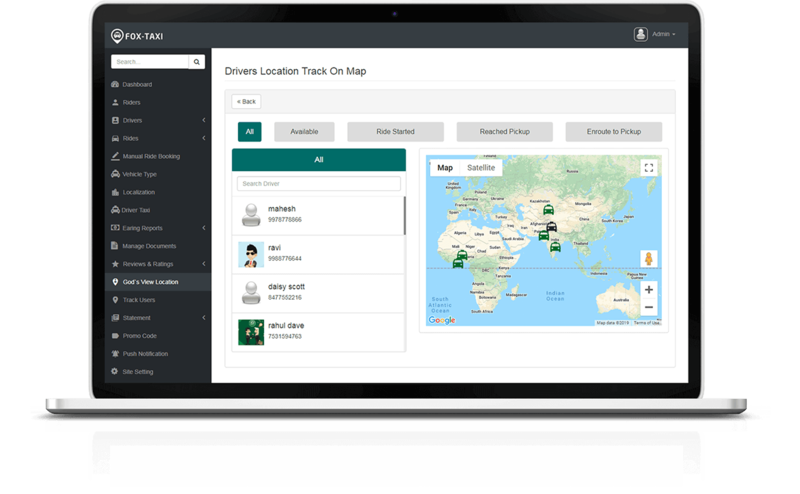 Dashboard represents the total site statics, ride statics, revenue details in the graphical form. Admin can view the recent rides list with the ride status. Admin can view today’s ride request with user name, driver name, pickup & destination address, ride fare, ride time, and ride status. Admin sends the mass notification to all users, drivers or both. When admin wants to send a message to all users or drivers they use the push notification. 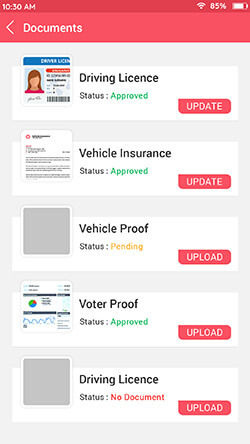 Admin can check the daily, weekly, monthly and yearly ride statements including the total number of rides, revenue, completed and canceled rides details. 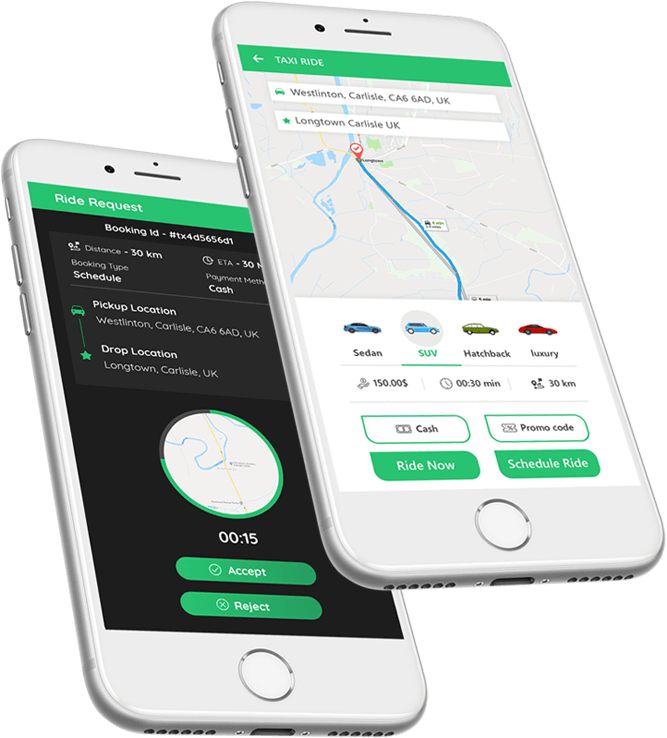 Admin can see currently online drivers list with details of name, email, contact details, city, profile status, ride statements, history of their rides. Admin has the option to book a manual ride booking for any users. 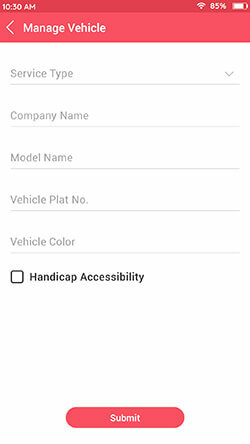 Admin book the ride with details of user contact number, ride location, date & time, and assign the nearest driver. Admin can view the rating & review of the individual ride with the ride details – ride id, user-driver name, rating, comments, and date & time. technology architecture. The latest technology makes the complete script more powerful for your business. Get Advanced Features ABSOLUTELY FREE! Our Uber clone offers total secure payment gateway for users. We offer multiple payment options like cash, credit cards, and wallets. 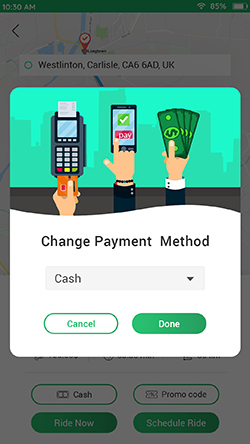 We have also provided internal Wallet for a driver. A user has an option for a ride now or later time. A user can schedule a trip before 8 days with date and time. A system auto select available drivers at the ride schedule time and sent the request. Taxi booking software used for wide-range of the area. People communicate in the different language in a particular region. Our clone script offers multi-language, so the system is available for any location. Our clone script offers communication features for a user and drivers. A user and drivers can call each other with a single tap. The call feature is a handy feature at an emergency time and privacy for users. 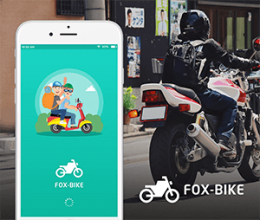 If you are want to change logo and app color based on your requirement? We offer you a customizable color option for app & logo that help to match your branding. Every people have not a smartphone and use the taxi booking software, or sometimes someone wants to book a taxi on the road, the system offers hailings features. 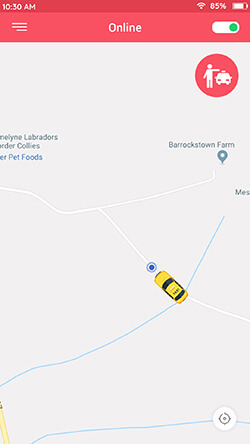 A user simply requests for ride and driver marked as hailed and start a trip in the app. to the answer you need! Where can I get the product demo? Is your product script multilingual script? Yes, the product script supports multilingual. Is your source code adjustable? Yes, our scripts codes are flexible. You can customize codes according to your requirements. How many users and drivers can concurrently use the platform? In our clone script no limit for a number of users & drivers. Which OS and servers requirements for the script? The only dedicated server is used for the script. Any Linux based server is work for the software. We suggest server – AWS and DigitalOcean. Which software and framework versions are you used? Our script is developed in Laravel V5.7, My SQL V4.7.4, and PHP V7.1.11. Our Android app script is supported in above all Jelly Bin Android versions. Are you provide web hosting? Yes, we are offering best web hosting services as per your requirements. Are you provides technical supports? Yes, we offer you with 3-month free technical support. You can contact us at 24*7 hours using email, skype or phone number. 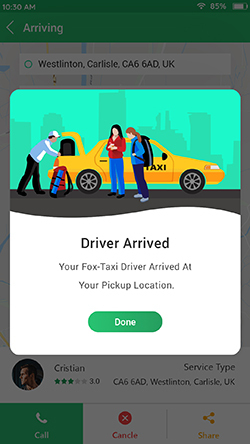 How the driver details are updating the position of pickup? 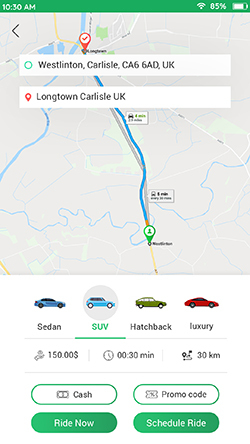 Driver details position for pickup and pre pickup is working based on Google Latitude-Longitude address. 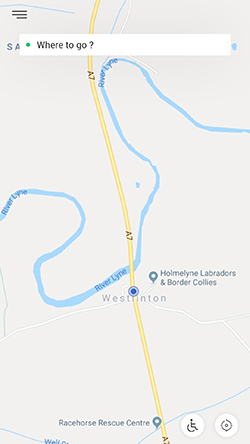 Our script is tracking a location through google map’s Live Lat-Long address. What third party services are required for the software? 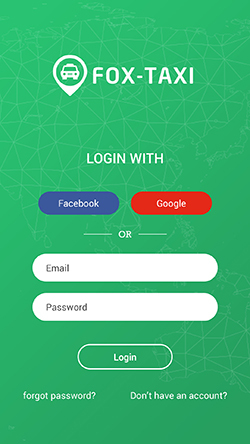 The script requires – Twilio SMS gateway, Payment Gateway (PayPal, authorize.net, and Stripe), Google Map Key, Apple Developer account, Play store Developer account, and pubnub services. different pricing packages which are the best match for your requirements. 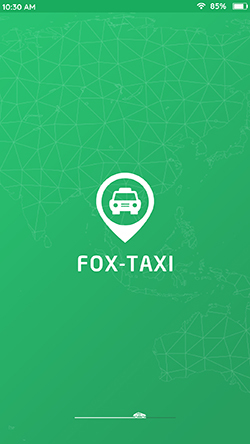 > We have a ready taxi booking app so you can launch your startup within a week.  > Our uber clone app script includes Native Android, iOS app, and web panels with source code. 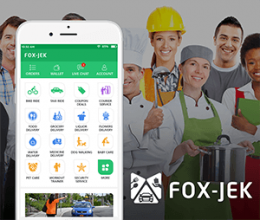 > We provide a taxi app with your brand name and logo. We launch your app in play & app store with your company name. > We setup your app & web with one-year technical support free of cost. so you launch the taxi script in your region. We are a global IT provider enterprise solutions in India. We specialize in Android & iOS app development, Graphics Designing, Digital Marketing, and Web development technologies like Laravel, PHP, WordPress, and more. Our primary goal is Customer Satisfaction. © Copyright 2019 White Label Fox.